big and small, fans and public at large. our resources and those of the collective community around common goals of generosity and support with leadership and creativity. the lives of those who need it most through impactful actions to help create a better future. Our company takes its role off the ice very seriously, committing to contribute significantly to the welfare of the community. Our actions are driven by our ability to gather and inspire people, as well as our desire to improve the lives of those who need it most. The Montreal Canadiens participate annually in the Hockey Fights Cancer program, a League-wide initiative to raise awareness and funds for care and research to overcome this terrible disease. Thus, throughout November, awareness activities took place at the Bell Centre during games. Leucan has supported children and their families who are affected by cancer for over 35 years. Jeff Petry challenged seven of his teammates to shave their heads and donate funds to Leucan. Habs players, Youppi!, members of our medical team and fans teamed up with our Mo' Habs Mo' squad to raise funds in support of testicular and prostate cancer research. Brendan Gallagher, Angela Price and Bailey Weber visited the Jacques-Cantin House, where they met residents who are receiving cancer treatments. Initiated by the late Jean Béliveau, the annual visit to children’s hospital is a tradition that has a history of over 50 years. The Canadiens-evenko Blood Donor Clinic is one of the largest blood donor clinics in Canada. Sun Life Financial and Diabetes Quebec were also on site, so donors could detect if they had diabetes at an information kiosk. Each year we participate in this initiative, which aims to increase awareness about mental health. For the 10th consecutive year, the Canadiens participated in the Grand Défi Pierre Lavoie, a spectacular 1,000km bike marathon organized to support research for orphan hereditary diseases and projects promoting healthy lifestyles. Our program provides free educational tools on the theme of hockey for teachers of primary and secondary grades. This year, we presented $1,500 scholarships to student-athletes in men and women’s ice hockey between 15 and 18 years of age. The objective of these awards is to encourage sports and academic excellence. 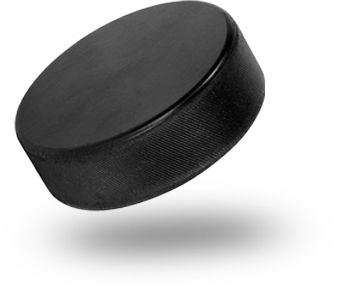 They are presented annually to hockey players competing in all three major amateur hockey leagues in the province of Quebec. Since 1967, the Club de la Médaille d'Or organization has paid tribute and upheld amateur Quebecois athletes who have stood out in their respective sports. This NHL initiative provided full hockey equipment, six weeks of supervised hockey sessions as well as a skating party at the Bell Centre to boys and girls who have never player on a hockey team. This competition is an opportunity for Quebec young Atom hockey players to show off their skills and to get the chance to represent the Montreal Canadiens at the NHL All-Star Game. The goal of our program is to instill in young hockey players the perfect balance of skills, sportsmanship, teamwork and respect while continuing to fuel their passion for the game. 34 teams ranging from Novice to Bantam from across the 12 administrative regions of the province were invited to play a hockey game on the Bell Centre ice. We invited minor hockey teams to share with us their team story by uploading original content to our website. Winning teams got to compete at the Bell Centre for the Armour Cup. Participating teams had to share a short text on their teams' engagement in the community. These clinics are based on the three pillars: respect, learning and fun. We held our 3rd Goalie Camp, featuring goalie coach and two-time Stanley Cup Champion, Stéphane Waite. The 2nd Canadiens girl’s hockey camp featured players and management from the Canadiennes de Montréal as well as Montreal Canadiens players. In collaboration with the NHLPA and the Goals & Dreams Fund, Max Pacioretty and Jonathan Drouin donated 25 sets of full hockey equipment to youth from Les Forces de la Régie de police du Lac in Deux-Montagnes. This donation allowed these kids, from 10 to 15 years old, to learn how to play hockey and be part of a team. Throughout the month of February, we held activities to promote inclusion and diversity. This initiative aims to create positive social change and promote inclusion among hockey players, regardless of race, ethnicity or nationality, skin colour, religion, gender, intellectual or physical deficiencies, sexual orientation and social-economic status. Andrew Shaw was the ambassador for this campaign. Young hockey players and referees from across the province participated in a pre-game ceremony at the Bell Centre, and during the first intermission, the Hiboux de Montréal, a hockey team for the visually impaired, dazzled fans with a demonstration of blind hockey. We teamed up with You Can Play and GRIS-Montréal in support of LGBTQ+ rights during a game at the Bell Centre to highlight the importance of respect and inclusion of the LGBTQ+ people in sports. This ambitious and wide-ranging project aims to position the club at the forefront of all environmental leaders in professional sports. This program allows us to support hundreds of organizations across Quebec. For Remembrance Day, we paid homage to the members of the Canadian Armed Forces. The Colour Guard was displayed on the ice and a tribute was paid during the national anthem. Touched by the tragedy that struck the Humbold Broncos hockey team, Canadiens players and members of the organization spontaneously made a donation to the survivors and to the family and friends of the victims. In support of La Grande Guignolée des Médias, weinvited the fans to bring non-perishable food to the Bell Centre before a game. All donations collected were given to Moisson Montreal, Sun Youth and the Society of Saint Vincent de Paul to meet the needs of the Montreal community. We are proud to support Operation Santa Claus, a community organization that literally makes the dreams of underprivileged children from youth centers, CSSS and schools come true around the holiday season. This is a unique opportunity to see Canadiens players practicing in a festive atmosphere at the Bell Centre. We are very sensitive to the challenges that our youngest fans are facing. Aware of the positive impact they can have, our players take the time to write many words of encouragement. More than 2,000 hours were given to community initiatives this year by our former players. The Montreal Canadiens Alumni Ambassadors are Réjean Houle, Guy Lafleur and Yvan Cournoyer. You think the Canadiens accomplish a lot in the community? Wait until you see what the Montreal Canadiens Children’s Foundation does!